CURT specialty locks are a line of unique towing locks that provide the security you need to keep that trailer and those toys safe from theft. It does not matter where the road takes you; if you are towing, you want the peace of mind to be able to enjoy yourself, and that only comes with a CURT lock. The multi-use security cable is a versatile lock that can be used to secure just about anything. 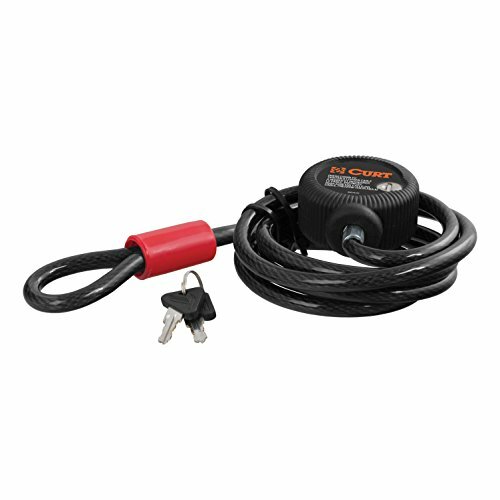 It features a 6' x 3/8" cable, making it a reliable bike lock for a CURT hitch-mounted bike rack. This multi-use security cable is key-operated and includes two keys. For all of your trailer security needs, look to CURT for the lock to keep that boat, RV, toy hauler -- whatever it may be! -- safe and sound.